Stuart Boon is an interesting fellow … so much so that writing a brief biographical intro to this interview proved to be a little challenging — there are so many intriguing, colourful and possibly spurious rumours about his past that I fear that if ever mankind were to ever piece them all together they would open up such terrifying vistas that we would all wind up fleeing into the merciful arms of a new Dark Age. Well, maybe not … but there are too many entertaining notes to include them all here (although you can click over to this page for an extended version of this bio sketch to see more of them). Hailing originally from Edmonton, Alberta, Stuart has been roleplaying since 1978 (when his eldest sister allowed him to draw the maps for her D&D group). He moved to the United Kingdom in 2002 and now lives and works in Scotland with his wife Michele. 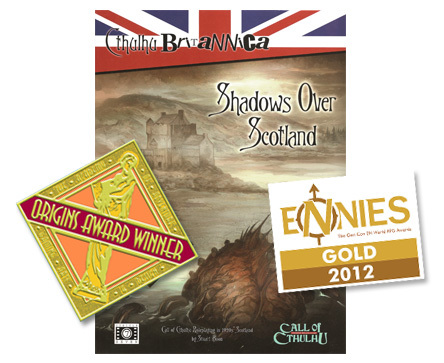 Shadows Over Scotland was his first gaming publication … but since its publication he has been extraordinarly busy guiding a whole range of books currently in-the-works for release by Cubicle 7 under the Cthulhu Britannica banner. 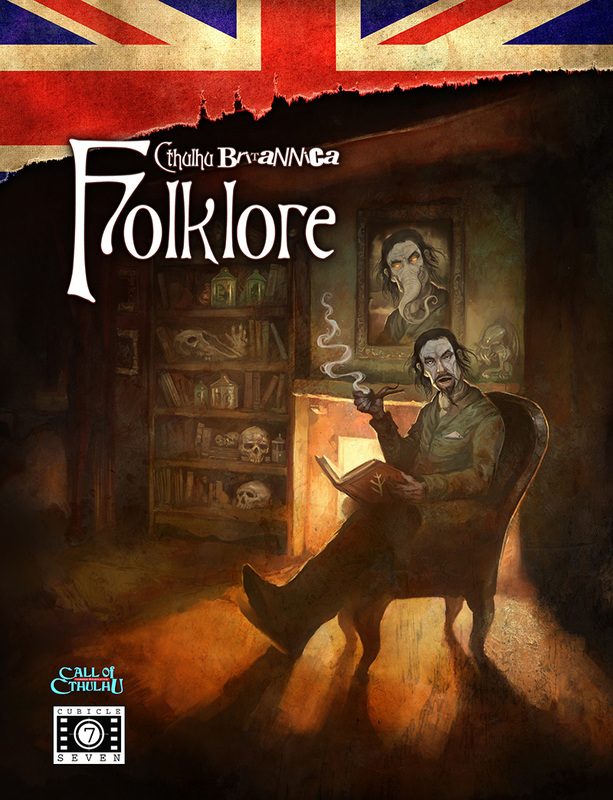 The first fruits of this labour have been the resurrection and substantial rewriting of the previously-announced book Cthulhu Britannica: Folklore, whose physical book release is imminent (the book is already available as a PDF). he is also hard at work on a number of other legacy products for the Cthulhu Britannica line, including the forthcoming (and much-anticipated) London box set. Not content with a ridiculous work-load as line developer, Stuart has also written scenarios for publishers Chaosium (Call of Cthulhu), Miskatonic River Press (Call of Cthulhu), Savage Mojo (Savage Worlds), and Sixtystone Press (Call of Cthulhu), among others. In addition to writing for roleplaying games, Stuart dabbles in fiction and most recently has had his short story ‘A Rending Crack Of Thunder’ published in Tales of Promethea, a collection of short fiction inspired by the award-winning, critically acclaimed roleplaying game Dark Harvest: The Legacy of Frankenstein. By day, Stuart is a lecturer and educational developer at the University of Strathclyde and, when academic and gaming occasionally meet, acts as a guest lecturer on the subject of writing for roleplaying. In his (now virtually non-existent) spare time, Stuart is an avid film and music fan, an active role-player, and spends entirely too much time indoors. He is currently working on a number of projects involving the Cthulhu Mythos whilst trying to retain what is left of his sanity. Stuart can be found on Facebook and lurking behind his shockingly infrequently updated blog. Stuart: I think one of the milestones in Lovecraftian roleplaying came along right at the beginning with the design of the first edition of Call of Cthulhu that gave us player characters who are not super-human, not heroes, but just normal, everyday folk. I’ve role-played an alcoholic plumber, a disillusioned and unemployed landscape painter, and a geriatric missionary turned investigative busybody. These are Lovecraftian ‘everymen’ dragged into extraordinary circumstance and facing off against the impossible. That makes for epic and, yes, often tragic, role-playing where our own human insignificance is highlighted against a maddening, alien chaos lurking behind every shadow and ever perpetuated by the ageless, cosmic horrors of the Lovecraftian mythos. Whether the adventure ends in success or in some truly horrible defeat, that distinctly human journey and struggle against the unknown is always entertaining. A long list of excellent scenarios and campaigns has given us important milestones as well, raising the bar on what Lovecraftian adventure could achieve and aspire to. From Shadows Of Yog-Sothoth to Masks of Nyarlathotep and from the Spawn of Azathoth to Beyond the Mountains of Madness, the campaigns and their stories got bigger, better, and more challenging. I think the fact that Call of Cthulhu has continued to evolve may be seen as another important milestone. 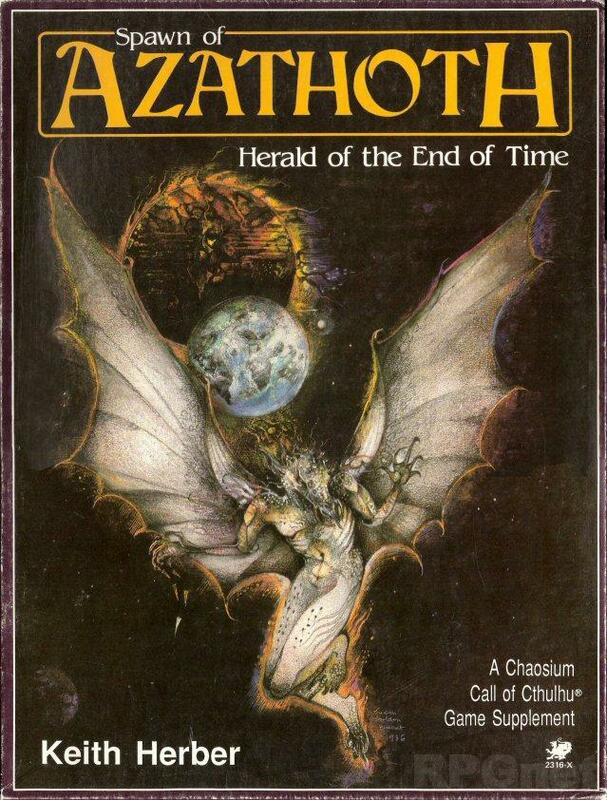 Playing a part in that evolution, I don’t think we can underplay the significance of Chaosium licensing to other game publishers and allowing Pagan Publishing, Miskatonic River Press, Cubicle 7 Entertainment, Pelgrane Press, Goodman Games and Sixtystone Press—to name a few—to produce sourcebooks, scenarios, and campaigns for the game. As it stands now, the Lovecraftian gaming community is wonderfully diverse and continues to put out some amazing products. I think the fact that so many Lovecraftian roleplaying products are winning prestigious awards stands as a testament to the success of the game and its numerous providers. That isn’t to say there haven’t been mis-steps along the way. Every business has its trials and Chaosium has had its fair share. Brian Sammons has already mentioned the Mythos card game, which I suspect is behind a number of problems. In addition a ‘mis-step’ for me would the stagnation and questionable quality brought about by focusing on reprinting past successes and the Miskatonic University Library Association (MULA) monographs, respectively. 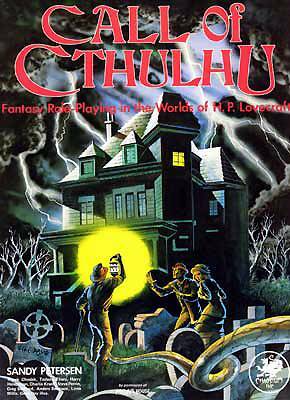 The concomitant lack of innovation and variability of quality certainly muddied Chaosium’s reputation for a time and provided a low point in Lovecraftian gaming generally. Stuart: With so many different publishers now in play, one thing we all benefit from is a wealth of opportunities for Lovecraftian roleplaying. There’s so much creativity that we can call on and it impacts so many more aspects of the game. Over the past 30 years, Lovecraftian roleplaying has grown to encompass other eras (e.g. Cthulhu by Gaslight, CthulhuTech, Cthulhu Dark Ages, etc. ), other settings (e.g. Iceland, Ireland, Scotland, Japan, etc. ), and other systems (e.g. 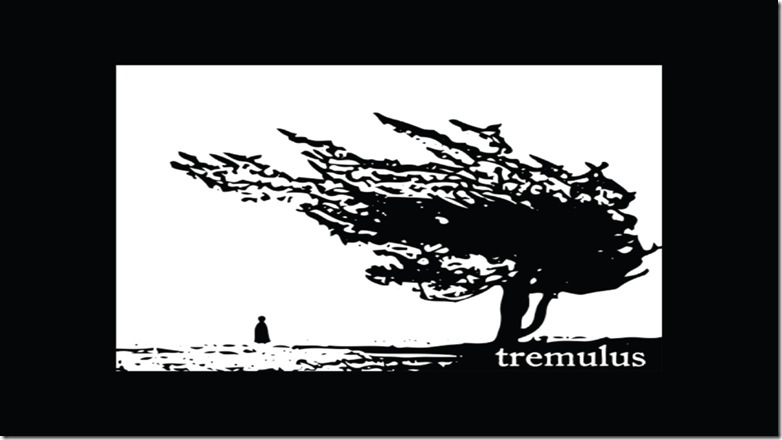 Trail of Cthulhu, The Laundry, the upcoming tremulus, etc.). Most publishers are doing well at the moment in focusing on their independent, creative properties and offering players different, rich, and detailed visions on the mythos. I think, for the most part, the Lovecraftian roleplaying sector has diversified itself quite well. 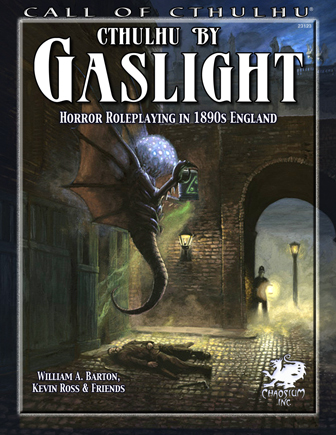 My own roleplaying sessions frequently jump between classic Call of Cthulhu, The Laundry, and Cthulhu by Gaslight. As long as there is an appetite for this variation then I think we’ll see more and different aspects of Lovecraftian roleplaying emerging. At the moment, it’s a very rich environment for players. What could be done better? That is a more difficult question, but one small thing that does pop to mind is that the industry could make better use of player input. I think the recent backlash against the proposed 7th Edition of the Call of Cthulhu rules provides a good example of the need for this. I think publishers, designers, and writers would do better to listen to Keepers and players, not just reactively but actively considering players’ interests. I personally find online forums like Yog-Sothoth.com invaluable for keeping in touch with players and gauging how well things are received. 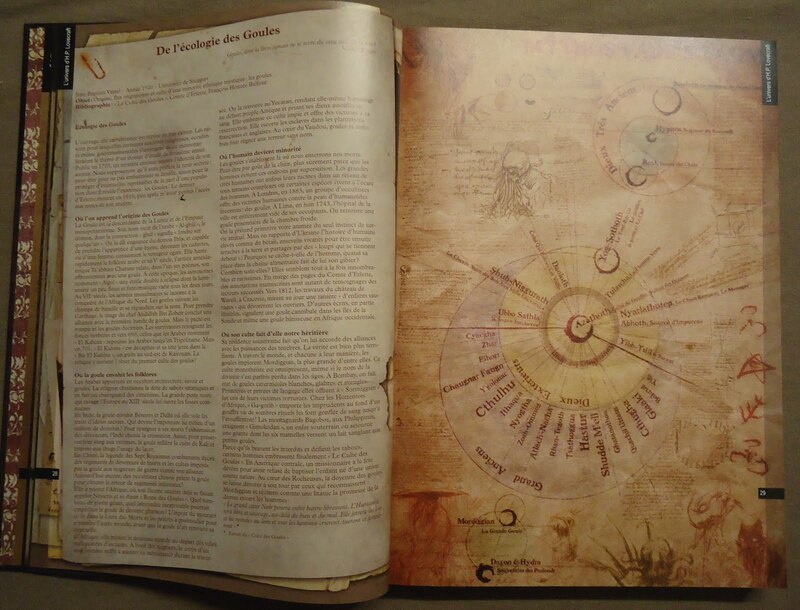 CR: What do you see as the main factors shaping the direction of Lovecraftian RPGs right now? Stuart: At the moment, gaming and geek culture seem to be having something of a golden age and I think Lovecraftian roleplaying is, in part, benefitting from that. In fact, all things Lovecraftian seem to be having a heyday. I’m still hopeful that Guillermo del Toro will get to direct At The Mountains Of Madness! At any rate, I think that this surge of interest combined with a sense of opportunity is driving the sector at the moment. It feels very positive. I’m not sure whether or not that surge of interest is translating into lots of new players, but writers and game designers can feel confident that there is a healthy audience for Lovecraftian adventures and source material. And coming back to my earlier point, with more authors and more publishers on tap, we can expect a broader and more varied output across the whole of Lovecraftian roleplaying. 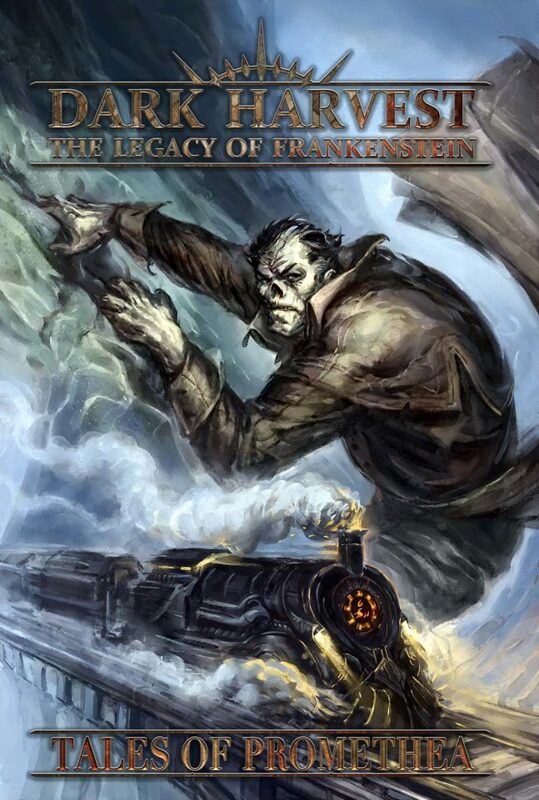 With more than 20 products released in 2012 for Call of Cthulhu and other Lovecraftian RPGs, and with so many of them being well received, I think we can look forward to the future full of interesting developments and hopefully more award-winning campaigns and sourcebooks. And as a footnote here, it is nice to see Lovecraftian board games also benefitting from this growing interest. Lovecraft fans really can’t be disappointed by the amount of Cthulhu-related material and media available. 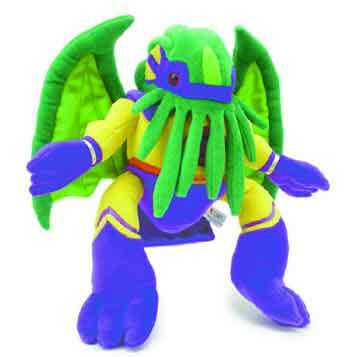 Although personally, I think Cthulhu plush toys and other attempts at Great Old One cuteness are truly unspeakable, but apparently that’s just me! CR: What do you see as the main challenges currently facing the continued prosperity/growth of the hobby? Stuart: Competition comes to mind, especially as we occupy such a niche area of horror roleplaying. But personally I think the competition that we see at the moment is very healthy and most companies do seem to be mindful of keeping things original and finding their own dark corner of the niche to work from. A lot of people seem to worry about diversification leading ultimately to a proliferation of indistinguishable or ‘vanilla’ products coming out, but I’m not sure the market is big enough support that kind of thing. I also don’t think the buying public would put up with it. I see Kickstarter as a potential challenge to the viability/prosperity of the hobby, though I know a lot of people who would disagree with me. I think we haven’t fully seen the impact that Kickstarter will have on local stores, on game publishers, and on individual authors and designers. I may be wrong and it might all be sunshine, but I would be surprised if that was the result. I do question a model that largely removes editorial structures and quality assurance. I know how boring that sounds, but all of the really good scenarios, campaigns, and sourcebooks we love have been vetted by publishers and benefitted from processes designed to ensure that they will be good. Like any tool, I suppose, Kickstarter could be used to create wonderful things or a whole load of dross. Stuart: Wow. That’s a good question. Two things come to mind—one more generic than the other: first, I would like to see the different systems and eras better supported. I’d certainly like to see more content coming out for Cthulhu by Gaslight and other poor cousins to classic era Call of Cthulhu. We all love the 1920s but there are so many other opportunities for interesting roleplaying. So, yes, I’d like to see more companies—especially the more established providers who can take a chance from time to time—committing to publishing outside the ‘safe’ Jazz age. Plans are afoot to develop numerous new eras (e.g. an Old West and Atomic-Age Cthulhu, for example), and that same hope applies to these new ventures. Stuart: Ah, I love a bit of divination. Looking positively forward we might see a greater variety of well-supported Lovecraftian roleplaying games turning out great stories and adventures in beautifully laid out books and PDFs that are a pleasure to use and read. Looking forward more negatively we might see local game stores killed off by Amazon with a knock-on effect hitting game publishers hard and possibly a few players having to leave the field. But more realistically, I suspect we will be very much in the same position we are now with most game publishers just getting by and doing their best to satisfy the small but dedicated audience of Lovecraftian role-players. Hopefully we’ll see more award-winning sourcebooks and campaigns, and a new generation of players lining up to do battle with the Great Old Ones. CR: Stuart … thank’s for your time! Would you be willing to stick around to answer a question or two from the readers? Stuart: Happy to … count me in! This entry was posted on Saturday, January 26th, 2013 at 11:17 am	and posted in Interviews, State of the Tentacle. You can follow any responses to this entry through the RSS 2.0 feed.